Kato has been DJing for 15+ years and involved in the house music scene for even longer than that. 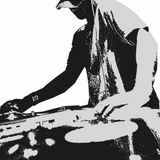 During college, Kato honed his craft playing a blend of deep / soulful house, disco house, and straight-up jackin anthems. Over the years, his sound evolved towards a more intricate blend of those original elements as well as a deeper affinity for loopy and glitchy techno sounds -- if you were to put a single label on this, you could go with tech house but Kato has never shied away from crossing genres or mixing new with old. Look out for Kato online or in the underground lounges of San Francisco, where he now resides, and experience underground house music... KEEP IT DEEP.